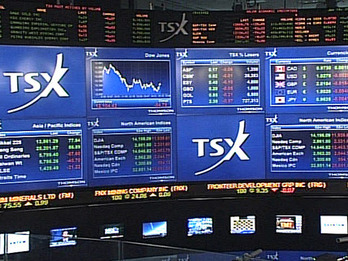 TSX Financials: Resistance zone ? ​​​​​​One interesting technical factor is that we are testing a Major Resistance Zone on that ETF s Ratio ​​as shown by ​the ​​second ​​chart ​below. ( See First chart below - Red Trendline Ellipses ).